Have a read of our care guide and we suggest you research the type of dog you’re interested in to make sure it will work for your family situation. Our puppy sitting service is a good way to interact with different breeds and be certain you've made the correct choice before buying. * Vet bills for desexing, yearly vaccinations and any unforeseen problems that may arise. Our domestic kittens are usually Rescue Kittens we rehome from Collaroy Vet or an accidental Litter. We cover the vet check, microchip, vaccination, worming and fleat treatment costs before finding them a new home. 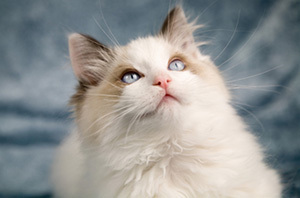 We also have Ragdoll and Burmese Cat Breeders. A hand raised cockatiel or small parrot can make a wonderful pet. We regularly stock cockatiels, green-cheek conures, quaker parrots & lorikeets. These small parrots are a good size, clever and keep the noise to a minimum in comparison to some of the larger parrots. 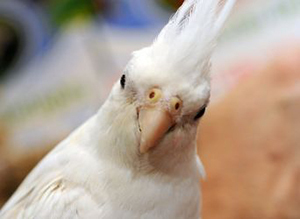 Considerations: Cockatiels can live on average between 10 to 15 years, while Quakers, Green Cheek Conures and Lorikeets can live up to 30 years. These Lifespans need to be seriously considered before making a committment. Handraised parrots will need regular attention to keep them happy and tame, with lots of time out of their cage to interact with you. We stock a variety of toys, which are needed to help prevent your bird getting bored when confined to a cage. Perches to keep nails trimmed and swings and ladders can give your bird entertainment and stimulation. While we sell various seed mixes, we highly recommend a premium pelleted diet from Vetafarm. We sell everything you'll need from grits, treats, cuttlebone and bird wormers - all needed to keep your parrot in good health. 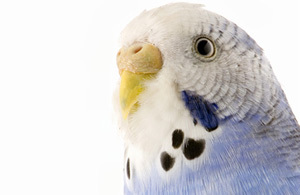 Baby budgies can make a wonderful pet and are easy to hand tame with some regular attention. They can teach children the responsibility of owning and caring for a pet, as well as making a great companion for peole of all ages. We encourage new owners to buy the largest cage their budget can afford and consider an open top cage or bird stand, to allow their bird maximum time out of the cage as possible. Considerations: An average life span of 8 to 12 years. We stock a variety of toys, which are needed to help prevent your bird getting bored when confined to a cage. Perches to keep nails trimmed and swings and ladders can give your bird entertainment and stimulation. Various seed mixes and premium bird foods are available and grits, treats, cuttlebone and bird wormers are also needed to keep your pet in good health. The secret to healthy fish keeping is conditioning your water when doing water changes and not over-feeding or overcrowding a tank. The right combination of fish is important and we can advise on this to make sure you’re not combining aggressive with passive fish. 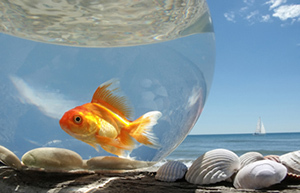 We stock a variety of cold and warm water fish, including many varieties of Goldfish, Tropicals and Fighting Fish. Our range of tanks in store cover small fighter fish bowls through to Splish n Splash tanks that include everything you need to get started. Complete tank setups with filtration and lighting are available in sizes ranging from 20 to 55 litres. We recommend you set up your tank, filtration system and heating (if required) and condition the water to take out chlorine, before purchasing any fish. A clean layer of gravel around 3 to 5cm thick should be placed at the bottom of the tank. Coloured gravel and ornaments or plastic plants can brighten up the tank and make a feature. Background scenes can be used to line the walls of the tank and create an underwater or beach scene. Live plants not only look great, but can oxygenate the water and offer another source of food for some fish. Ideally leave the tank set up and running for a few days and introduce fish slowly to make sure water conditions are correct. Cleaning of the tank should be done with a suction hose to remove the layer of excreta which slowly spreads over the gravel. Ideally once a week or fortnight around 1/3 of the water should be suctioned out. Condition the new water first before adding to the tank to top it up. 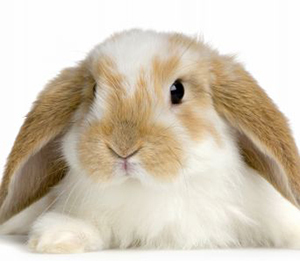 Rabbits can make wonderful companion pets and form tight bonds with their families. Whether kept singularly or in pairs, pet rabbits thrive on human companionship. They can also make a great indoor pet. Rabbits can be taught to come to their name and are easy to train with a litter tray. This can be used in their cage, then when given time out of the cage, they’ll learn to go to the tray to do toilets. Oz Pet Litter is our preferred litter as it keeps odour to a minimum and attracts rabbits to it. See in store for a variety of indoor and outdoor cages and runs. We generally stock Mini Lop or Rex Rabbits. We have found both these breeds have the best temperaments and are generally docile and great for children. Considerations: A Rabbits lifespan is on average 7 to 12 years. A rabbits diet should consist of a good quality pellet mix (we recommend Vetafarm), along with plenty of hay such as oaten, meadow, fescue or timothy hay. Vegetables, in particular dark fresh greens, with a little fruit treat given every couple of days. A great pet for older children or adults - younger children will need full supervision. A well socialized rabbit that is given a lot of interaction, usually rewards their owners with a lot of affection and cuddles. While they enjoy petting, rabbits are not comfortable being carried around or held up high off the ground, as this mirrors being captured by birds in the wild. Vets recommend vaccinating your rabbits after 10weeks of age against Calcivirus which is harmful to rabbits, not humans. If keeping your rabbit outdoors, it is advisable to cover the cage with flyscreen or netting in summer, as Myxomatosis is another virus carried by mosquitoes and fleas. 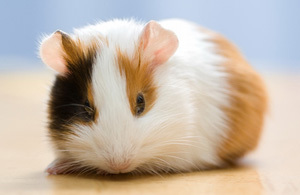 For many people, Guinea Pigs were their very first pet. This is for good reason, as they are an easy animal to handle and also fairly hardy considering their relatively small size. However, if all members of your household are out working or at school all day, you should consider two or more Guinea Pigs rather than one, as they are very social animals and happiest when they can interact with others. We have a large selection of cages suitable for indoor or outdoor runs. Considerations: Average Lifespan 6 to 8 years. In regards to diet, guinea pigs cannot metabolize their own vitamin C, so it is very important to pick a good quality pellet to feed them that contains vitamin C, otherwise they can get scurvy. We suggest Vetafarm guinea pig pellets which are a complete diet for guinea pigs. Alternatively we have a guinea pig mix with vitamin C, that can be used along with vitamin C tablets in their drinking water. A handful of vegetables and a little fruit, along with lucerne, oaten, meadow, fescue or timothy hay is all that you need for a healthy diet. 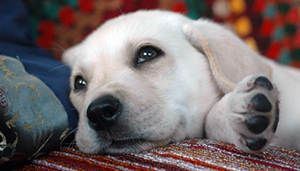 Small animal wormer should be given in drinking water for a few days at a time, every 3 months. Mice and rats are classified as rodents and for small animals, rodents are particularly smart and clean. As for germs, rodents get them mostly from us. The mice and rats now sold as pets are thousands of generations removed from the wild. Mice are fascinating to watch. We sell wheels, toys, building blocks and mouse house furniture to keep them busy. 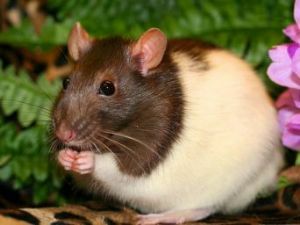 Rats are an intelligent pet that form close bonds with their owners. They can be taught tricks and are very receptive when given regular attention. Considerations: Lifespan for Mice is 1.5 to 2years. Rats from 2 to 3 years. Feeding is very simple with our Rat and Mice mix and the odd treat. We sell a variety of plastic, glass or wire cages, along with an array of chew and interactive toys and accessories. Oz Pet litter is highly recommended in the bottom of your cage to keep odour to a minimum and makes cleaning an easy weekly job. 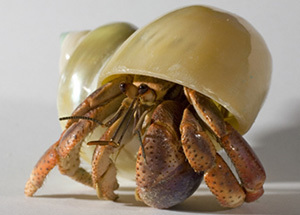 Hermit crabs have evolved to live on land and use an empty shell as a portable home, as well as protection. Remember, it is a land animal and must not be kept in water. Complete set up kits are available with glass tank, food, salt, water conditioner, heat mat and lid. Alternatively we sell glass and plastic reptile enclosures to create their new home. A great range of painted and designer shells are available to add to your crabs personality! Hermit crabs are nocturnal, so are mainly active at night. In winter it is recommended to keep your set up in a warm spot, or look at additional heating for the colder months. Your Hermit Crab will need Fresh water (with chlorine removed) & Salt water (with chlorine removed) and given as a salt bath. Special Hermit crab pellets are recommended as they contain all the nutrients necessary to keep your crab healthy. There's an amazing variety of reptiles that can be kept as pets in Australia, however the three main types are freshwater turtles, lizards and snakes. 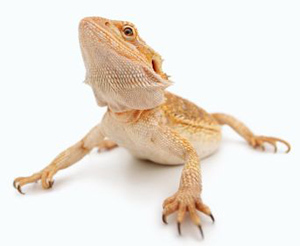 We supply the accessories, food and enclosures to keep your reptile in conditions as close to nature as possible. It is also very important to have the correct heating and lighting for your reptiles survival. You will need to apply for a reptile licence in New south Wales. For more information, go to www.nationalparks.nsw.gov.au.